Gary Lon Redman, II graduated from the University of North Texas in May of 1999. During the summer of 2000, he studied abroad at Oxford University with the University of Oklahoma School of Law. In May of 2002, Mr. Redman received his Juris Doctor degree from Oklahoma City University School of Law. 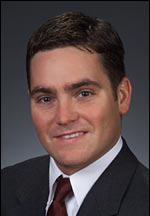 Gary Redman became a partner of the Dallas based criminal defense firm Milner, Finn & Price in 2005. In 2006, Mr. Redman was recognized in Texas Monthly as one of the “Top Young Lawyers in Texas.” Mr. Redman was named a Texas Super Lawyer, Rising Star in the area of criminal defense by Law & Politics. Only 2.5 percent of the attorneys in Texas are selected as Rising Stars. Gary Redman has been honored to lecture on trial tactics to hundreds of lawyers throughout Texas. Mr. Redman is licensed to practice in all state courts in Texas, as well as in federal court in the Northern and Eastern District of Texas. He is a member of the National Association of Criminal Defense Lawyers, Texas Criminal Defense Lawyers Association, Dallas Criminal Defense Lawyers Association, National College of D.U.I. Defense, Dallas Bar Association, and the Dallas Association of Young Lawyers.